If you make gluten-free sourdough bread, you must have some sourdough starter discard. Don’t throw it away, use it to make these Blueberry Banana Sourdough Muffins! I have so much gluten-free sourdough starter discard that I need to be creative with it. I hate wasting food and we can only eat so much sourdough pancakes. So, I had to experiment with making muffins using the “discarded” sourdough starter. Who would’ve thought that I’d be baking gluten-free goodies, when just a couple of years I ago, I did not even know what gluten was! I truly learned a lot through the Gluten Free Baking Academy. If you want to learn to bake gluten-free bread, tortillas, sourdough and more, you need to sign up for this gluten-free baking course! Then if you want to make your own gluten-free sourdough starter, check out my blog post on how to Make Your Own Kombucha Sourdough Starter. The gluten-free flours used in this recipe are: brown rice flour, chickpea flour and cassava flour. Cassava flour is one of the flours I discovered (and learned to make at home) through the Gluten Free Baking Academy. 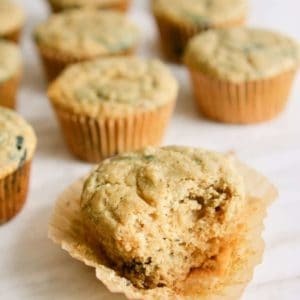 It provides a very nice crumb to these muffins. If you can’t find cassava flour, you can substitute arrowroot starch instead. The crumb won’t be the same though, but the muffins are still yummy. Chickpea flour is also known as garbanzo flour. Check out this great guide to gluten-free flours from the Academy of Culinary Nutrition. 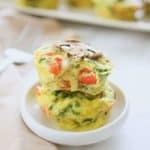 This recipe uses 1 egg. Try to get pastured eggs if you can. You can really see the difference in the egg yolk vs. a conventional egg. For a vegan option, you can omit the egg entirely too! The bananas can also serve as the egg replacement. When you make sourdough, you’ll have to “feed” the sourdough starter every day or so to keep it active and bubbly. You’ll need to “discard” some starter so you won’t end up feeding it too much flour. 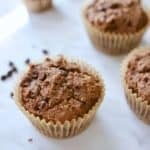 This discard can be given to a friend who wants to make their own starter, used to make sourdough pancakes or these delicious sourdough muffins. You can use live, freshly discarded or refrigerated sourdough starter. The gluten-free sourdough starter I used for this recipe was kept in the fridge for a few days and was no longer bubbly like active starter. 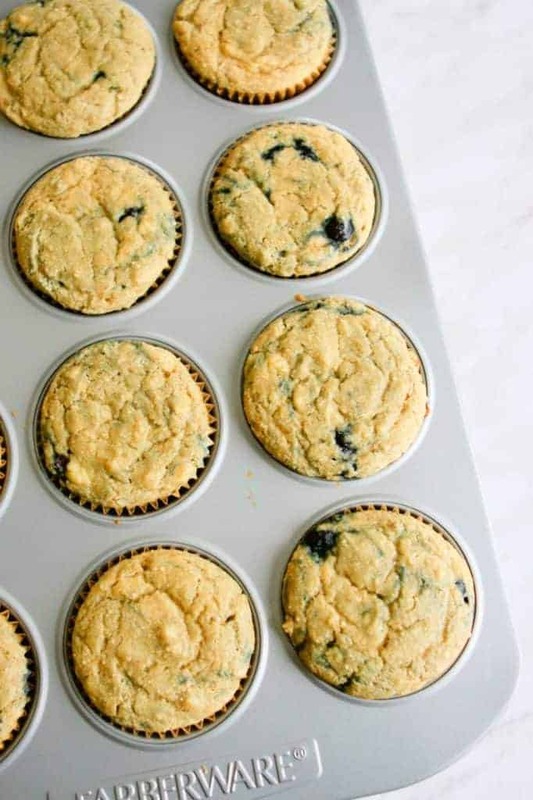 Pre-heat the oven to 350ºF and place unbleached liners into a muffin tin. 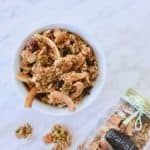 In a large mixing bowl, combine all the dry ingredients together. In another bowl, add the ripe bananas and mash them. Then add the egg (if using), coconut oil, maple syrup, vanilla, lemon juice or apple cider vinegar, sourdough starter and water. Mix until everything is combined. Slowly add the wet ingredients to the dry ingredients. Mix thoroughly. I used a stand mixer. Carefully fold in the blueberries. I used frozen wild blueberries. You’ll have to act quickly here if you’re using frozen blueberries, don’t let them defrost or you’ll end up with purple muffins. 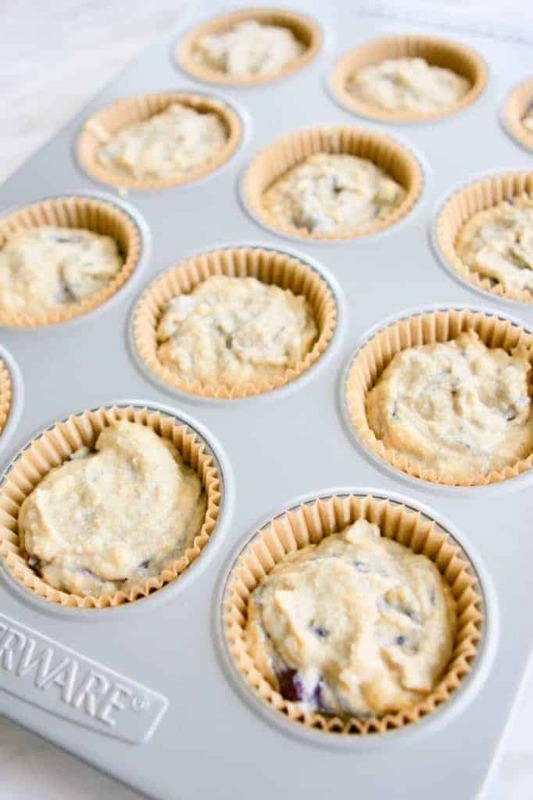 Distribute the muffin mixture into the lined muffin pan. I used a 1/4 cup to scoop the mixture. Let them cool completely on a cooling rack. 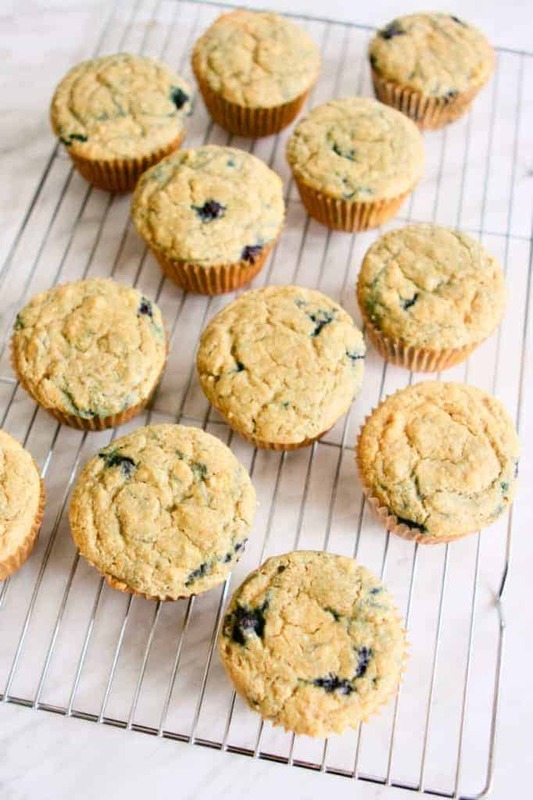 These gluten-free blueberry banana sourdough muffins are great for breakfast or as a snack! Have it with some ghee too. So yummy! How did you like these muffins? Please leave a comment or rating below. Thanks! Have too much gluten-free sourdough starter? 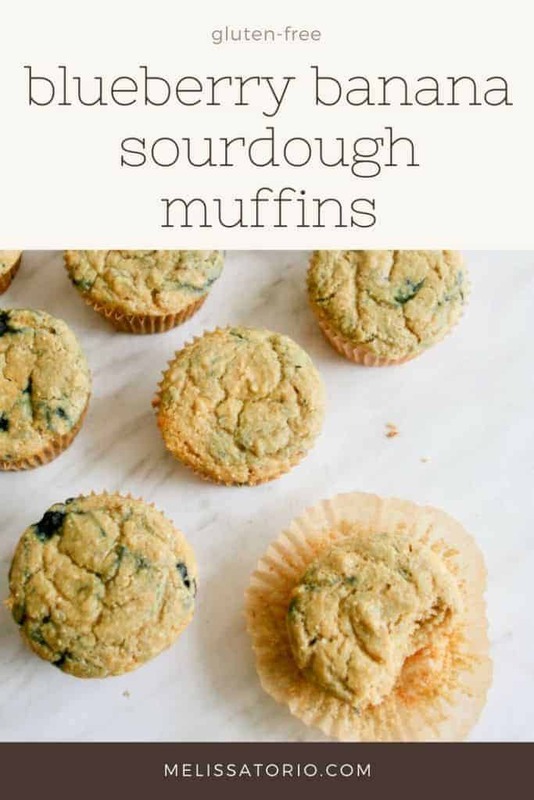 Use it to make these easy and delicious blueberry banana sourdough muffins! Pre-heat oven to 350ºF/180ºC. Place unbleached liners in muffin pan. 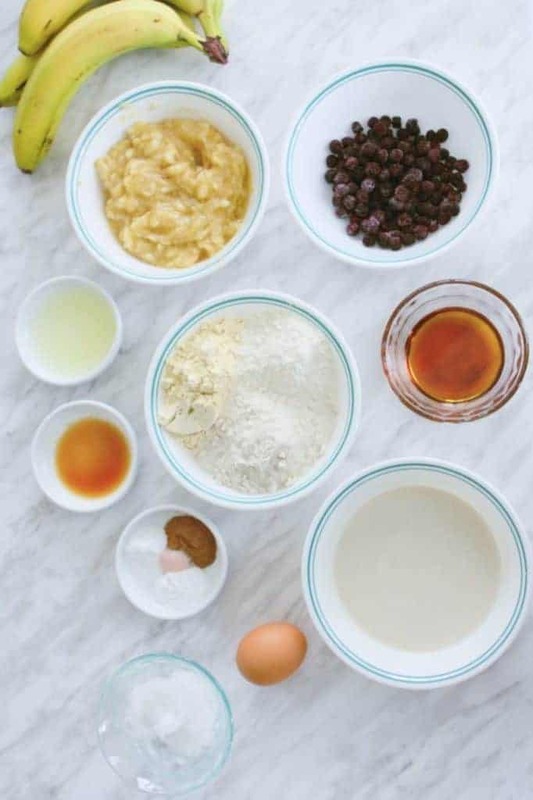 In a large mixing bowl, add the dry ingredients: flours, baking soda, baking powder, salt and cinnamon. In another bowl, add the ripe bananas and mash them. 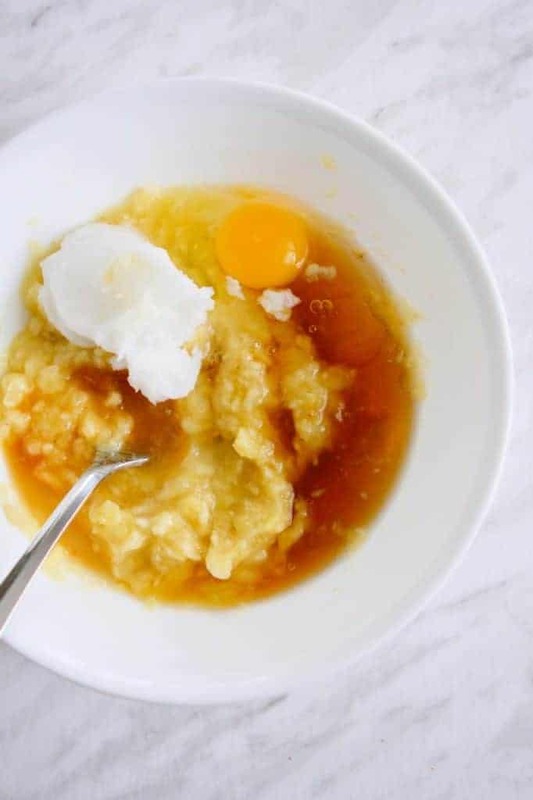 Add the rest of the wet ingredients: egg (if using), coconut oil, maple syrup, vanilla extract, lemon juice or apple cider vinegar, sourdough starter and water. Mix until thoroughly combined. Slowly add the mixed wet ingredients to the dry ingredients. Mix thoroughly. Scoop the mixture into the muffin pan, distributing evenly. Place pan into oven and bake for 25 minutes. Once done, let sit for about 10 minutes, then place muffins on a rack to cool completely. 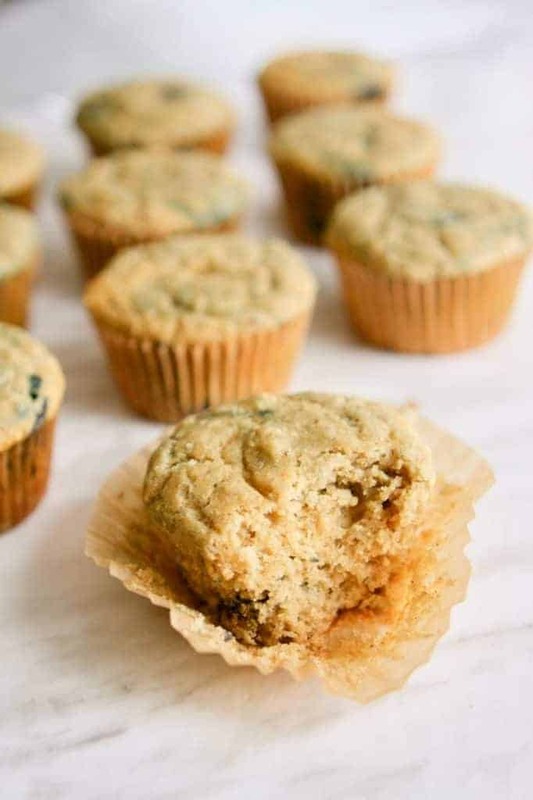 For mini muffins, bake for 12-15 minutes. Makes 36 mini muffins. You can substitute arrowroot starch for the cassava flour, but note that the crumb would not be the same. For a vegan option, you may omit the egg entirely. They were delightful! No egg, gf flour instead of cassava flour. One fresh raspberry pushed into each muffin by one-year-old before baking. They were well cooked and rose beautifully in 20mins at 180c fan forced oven. Glad they worked out with the substitutions, Julie! A fresh raspberry in each one – how fun! Can I sub tapioca starch for cassava flour? Hi Amanda, I’ve never tried this recipe with tapioca starch so I don’t know how it will turn out. While both are from the same root crop, the processing of tapioca starch and cassava flour are different. Hi, I was reading your recipe for blueberry banana sourdough muffins but couldn’t find any mention of the amount of sourdough starter. The recipe calls for the standard baking powder. Can you please provide directions? Thank you! The recipe mentions 1/2 cup gluten-free sourdough starter, lively or discard.